Beginners need to be particularly patient for this job. Steps 11 & 12 can be time consuming unless practicing on regular basis. 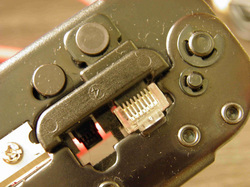 A specific crimping tool is required as shown in the pictorial. It can be found in many DIY shops for around 20$ or you can buy it online. 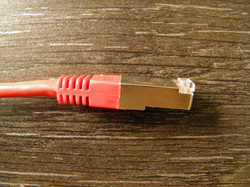 1- This network cable plug is broken and doesn’t hold properly anymore into the RJ45 Ethernet socket. 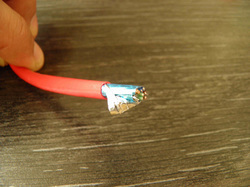 4- The above shows how to prepare a shielded cable. 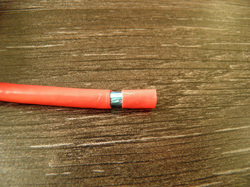 Cut the plug and remove around 10 mm of insulation. 7- Continue opening the shield without tearing it or cutting it. 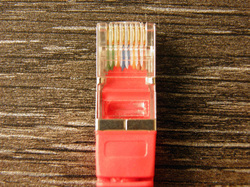 10- Look at the connector on the other side of the cable and see how the wire colors are arranged into it. 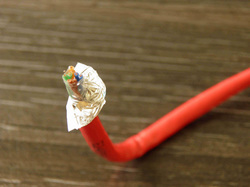 13- Also make sure the bare wire is in touch with the metal part of the RJ45 connector and insert the latter into the crimping tool. 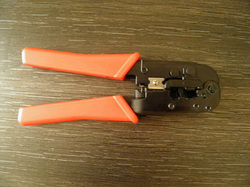 2- You will need this specific tool widely available and that crimps RJ connectors, both for telephone and network. 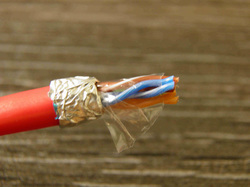 5- You can now see the shield (the blue aluminum foil) around the wires. 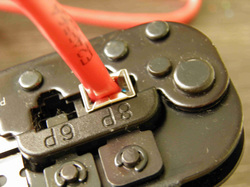 The same method applies for unshielded cables. 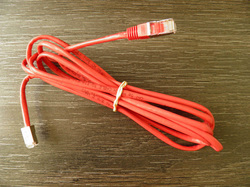 8- Pull it down and wrap it around the cable. Observe well the bare wire which has to be bent down above the shield. 11- Do the same color order arrangement. 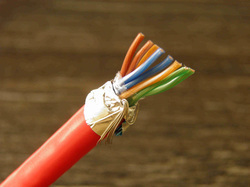 There are 4 colors each with one plain and one white-striped wire. 14- Press the tool until you hear a “click”. 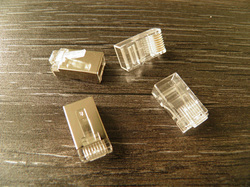 3- The RJ45 connectors are available with or without metal to be used respectively on shielded and unshielded patch cords. 6- Start opening the shield. 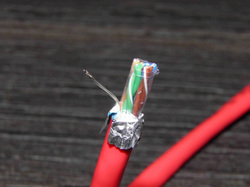 A transparent layer also wraps the wires. Proceed layer by layer. 9- Now unfold and cut the transparent layer. 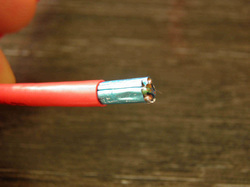 12- Cut all wires to the same length and push them into the connector making sure each goes till the end of its channel. 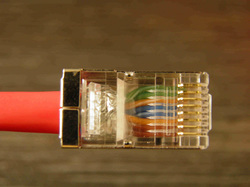 15- Your LAN network patch cord (RJ45, Ethernet) is now repaired and ready for use.